*DRIVE AWAY FOR JUST £50 A MONTH- NO FEES & NO DEPOSIT! 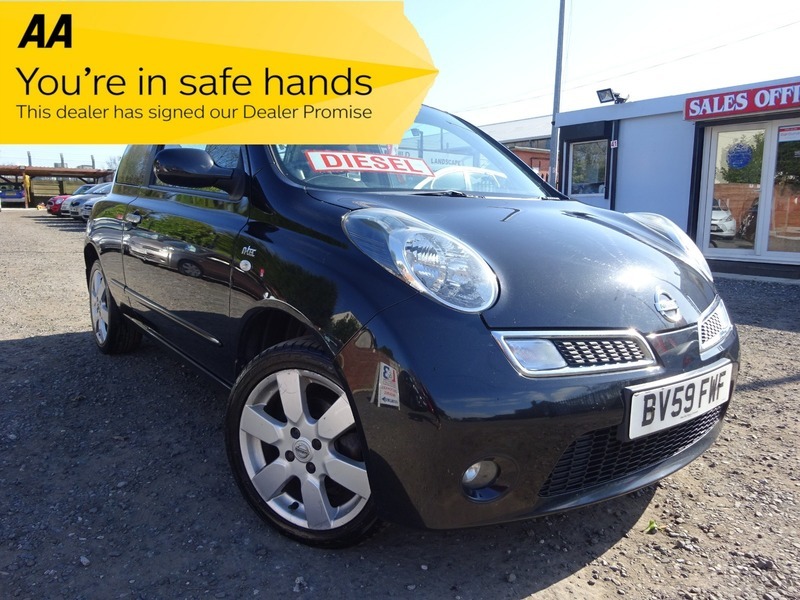 * HERE WE HAVE A LOVELY LITTLE MICRA DIESEL FINISHED IN THE BEST COLOUR/TRIM COMBINATION AND FULLY LOADED WITH TOUCH SCREEN SAT NAV, PARKING SENSORS, AIR CON, ALLOYS & MUCH MORE! ECONOMICAL & RELIABLE CAR SUPPLIED WITH SERVICE HISTORY, WARRANTY & 12 MONTHS AA BREAKDOWN COVER FOR ADDED PEACE OF MIND!